Understanding the intricacies of the criminal justice system, including the effects of criminal convictions, is vital to the representation of criminal defense clients. 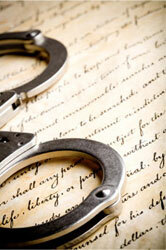 Law Offices of Henry A. Posada has much experience advising and representing clients accused of criminal offenses. The firm takes great care to ensure that criminal defense clients get through their toughest moment with a strong advocate by their side. Rather than hastily recommend acceptance of a plea and sentence at the initial stages, our firm will explore all angles of defense strategy, including negotiating with prosecutors to obtain favorable plea bargains, investigating the circumstances of the offense and arrest, presentation of pre-trial motions, and, if necessary, trial.